“Furnishing the Cloud” emerged from conversations between members of the New School for Social Research, Eugene Lang College, the Parsons School of Design, and the New School for Public Engagement. 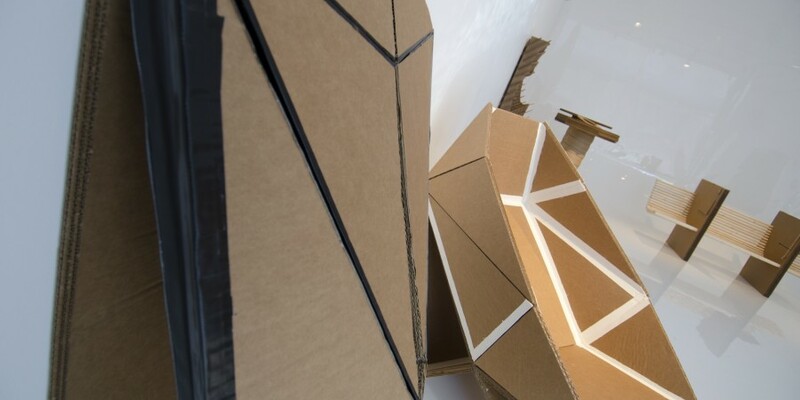 From March 9-22nd, we created an exhibition that sought to creatively interrogate how media and infrastructures integrate into lived environments and experiences. 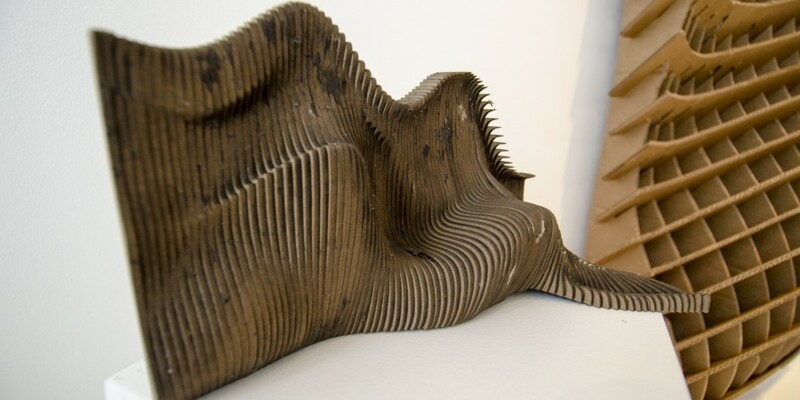 Throughout the site you will find information about the exhibit, the process of designing and researching infrastructures, and the conversations that emerged at the intersection of the humanities, social sciences, and design. We sought to create links between this virtual space and the built environment. Exhibition view - Vista of wall of QR codes linked to students' web projects and monitor with video display. Photo courtesy of Chris Hyun Choi. Exhibition view - Close up of wall of QR codes linked to students' web projects and tagged with relevant themes. Photo courtesy of Chris Hyun Choi. 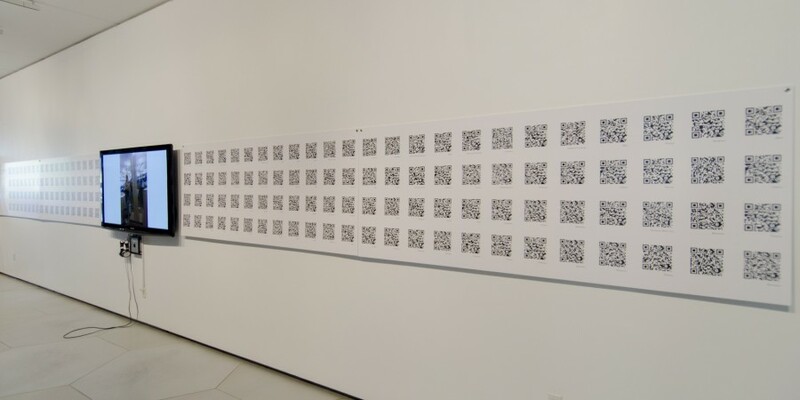 Exhibition view - Section of wall of QR codes. Photo courtesy of Chris Hyun Choi. 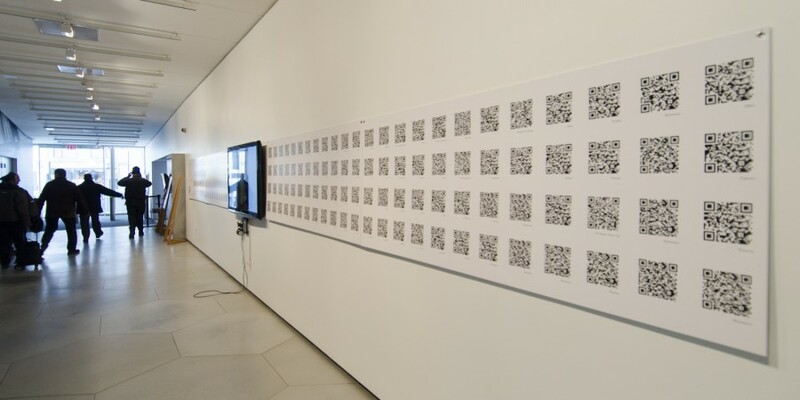 Exhibition view - Effect of infinite progression of data produced by a mirrored image of the QR code wall. Photo courtesy of Chris Hyun Choi. Exhibition view - Monitor with access to website and student furniture prototypes in background. Photo courtesy of Chris Hyun Choi. Exhibition view - Cloud's Anchor. Photo courtesy of Chris Hyun Choi. Exhibition view - Screw Up. Photo courtesy of Chris Hyun Choi. 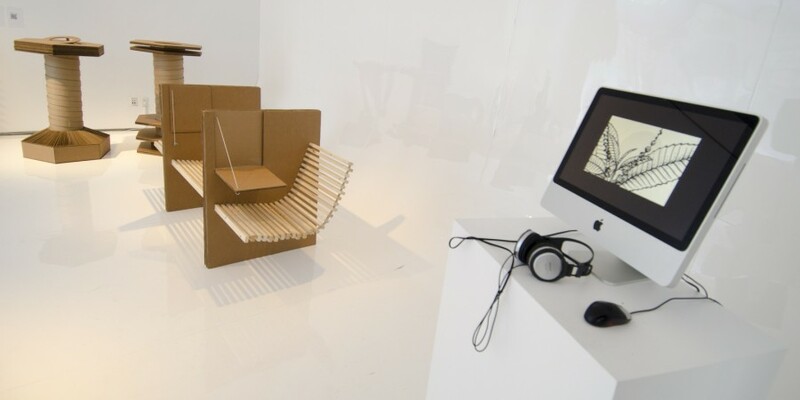 Exhibition view - Student furniture prototypes with Axis Chair in foreground. Photo courtesy of Chris Hyun Choi. Exhibition view - tisch Sur Flex. Photo courtesy of Chris Hyun Choi. Exhibition view - Shape Shifter. Photo courtesy of Chris Hyun Choi. Exhibition view - Permeation Station 643. Photo courtesy of Chris Hyun Choi. Exhibition view - Preliminary model for C-Lounge. Photo courtesy of Chris Hyun Choi. Exhibition view - C-Lounge. Photo courtesy of Chris Hyun Choi. Much of our common stock of knowledge and culture– from the inscriptions of early civilizations, the classic texts of the ancient world, the manuscripts of the Middle Ages, and the maps and scientific treatises of the Renaissance, to the tweets and open data sets of today — now resides in The Cloud. That Cloud seems to have no boundaries, no place; it floats above us, bringing its intellectual and financial riches to those of us who are connected to it, wherever we might be. Yet The Cloud isn’t nearly as ubiquitous as the weather. Its accessibility is limited by protocols, politics, and cables, and its “content” has to be shaped, formalized through various interfaces, in order for us to perceive and process it. “Furnishing the Cloud” considers both how we have historically imagined the architectures and infrastructures of knowledge and power– the universal library, the State archive, the collective brain — and proposes new conceptual and physical infrastructures, as well as a new ergonomics, for storing, accessing, and processing the contents of the cloud. 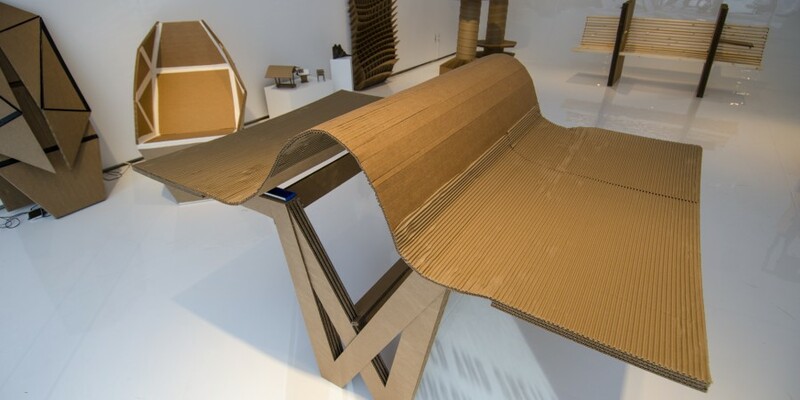 The exhibition emerged from a collaboration between Furniture, Space and Detail, an elective course taught by Adjunct Professor Kimberly Ackert, from Parsons School of Constructed Environments, and Making Sense, a course taught by Assistant Professor of History, Orit Halpern, from Eugene Lang and NSSR. In the Aronson Gallery, students from Furniture, Space and Detail presented prototypes of furniture designed to accommodate the new modes of interaction, engagement, and attention warranted by contemporary information technologies; these pieces were inspired by the students’ own research, with contributions by Associate Professor Shannon Mattern, of the New School for Public Engagement, and Brian McGrath, Dean of the School of Constructed Environments. Participants from Making Sense presented web projects that aimed at critically theorizing what infrastructures are and how they impact our lived experience. Each student conducted research on a particular infrastructure, developing a glossary of relevant sensory, aesthetic, and political terms and producing a brief video-essay. 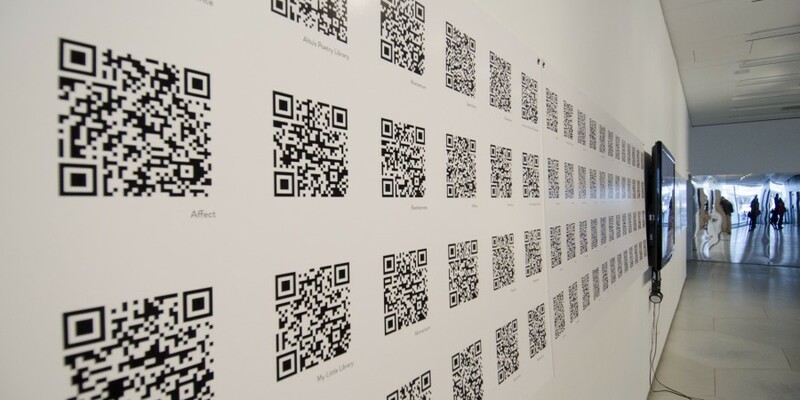 Outside the gallery, a wall of QR codes provided access to these web projects and to documentation of work produced in Furniture, Space and Detail and Shannon Mattern’s Fall 2014 Archives, Libraries + Databases. Every QR code linked to an individual project page hosted on this site and was tagged with a pertaining exhibition theme. The exhibition themes provided a means for reflecting on similarities between radically different information infrastructure forms and included, among others, infrastructures of affect, cadence, spectrality, and preemption. A wall-length mirror installed at the end of the corridor housing the QR code wall produced the effect of an infinite progression of data. 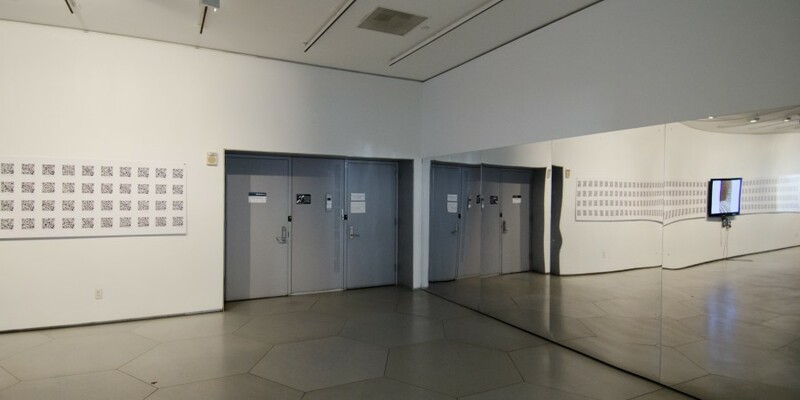 The video essays from Making Sense and documentation videos from Furniture, Space and Detail were also on display on a television monitor embedded within the QR code wall and on a computer monitor in the gallery; the computer monitor alternatively provided direct access to this site. 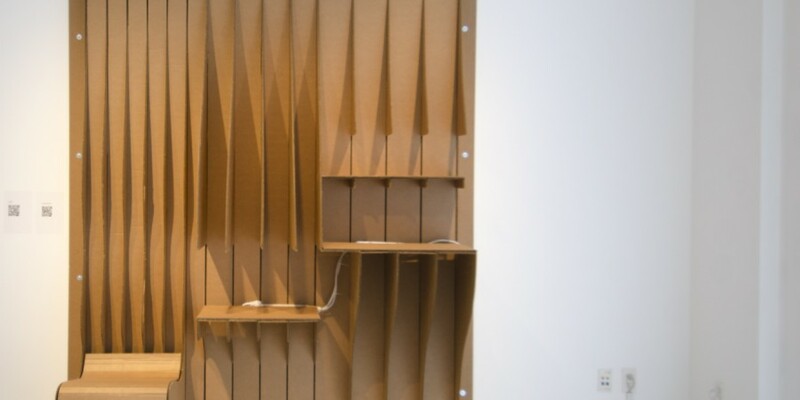 The prototypes and research projects presented in the exhibition were the result of a five-week development process; they continue to be refined throughout the semester, with any progress made updated here. 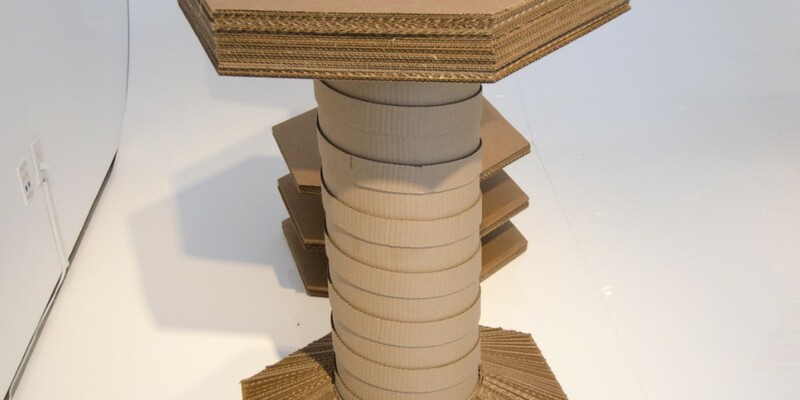 Presented by the Sheila C. Johnson Design Center, with funding from the Provost Office Research Cluster Grant and the School of Constructed Environments, Parsons the New School for Design. With additional support from Historical Studies, New School for Social Research, and the School of Media Studies, New School for Public Engagement. Aronson Gallery, 5th avenue and 13th street, NYC. Opening Party. Come enjoy some light refreshments and great discussion as we launch our “cloud”! How do we perceive the presence of data? How do our bodies interface with information streams and the digital technologies that bring them to us? What aspects of “the cloud” are rendered sensible to us — not only visible, but also audible and tangible? 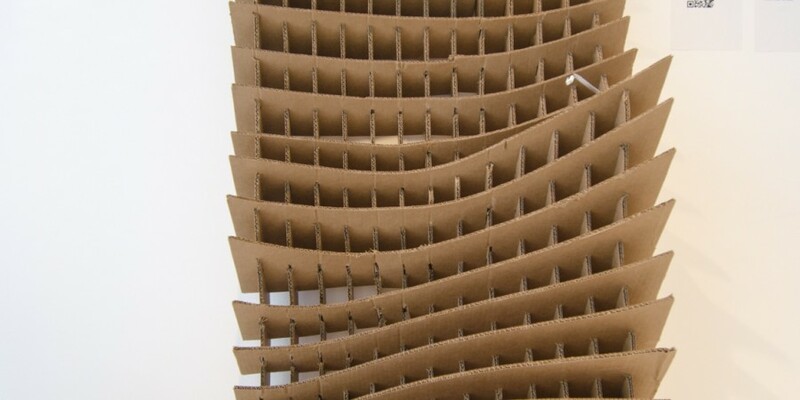 Join the curators for “Furnishing the Cloud,” an exhibition on display in Aronson Gallery from March 9 through 22, to discuss sensory infrastructures. 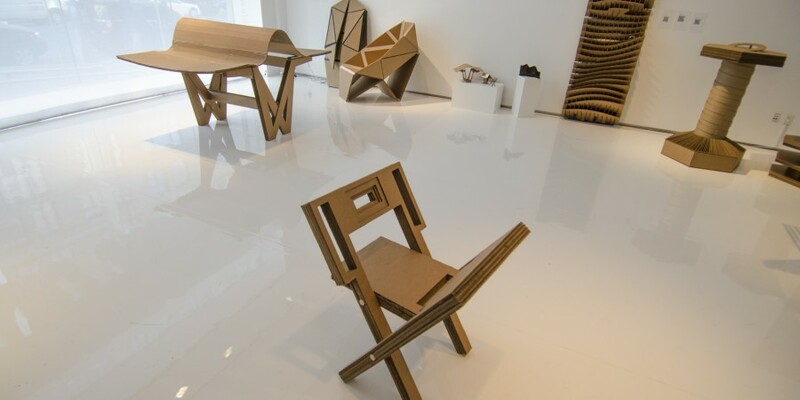 Kimberly Ackert, Orit Halpern, Shannon Mattern, and Brian McGrath will offer short provocations, exploring the exhibition’s themes from the perspectives of furniture and exhibition design, history, media studies, architecture, and urbanism. 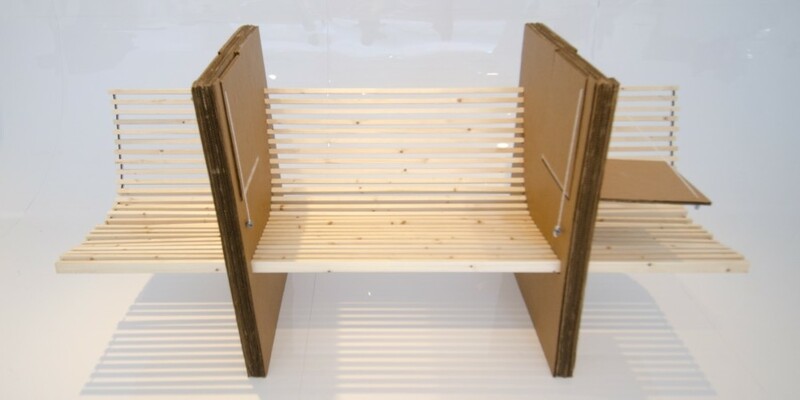 Representatives from Ackert’s “Furniture, Detail and Space” studio, Halpern’s “Making Sense” seminar, Mattern’s “Archives, Libraries and Databases” seminar, and McGrath’s “Cinemetrics” University Lecture course — all of which “furnished” the work for the exhibition — will be present to discuss their own work in relation to these sensory matters. All are welcome to join the discussion.